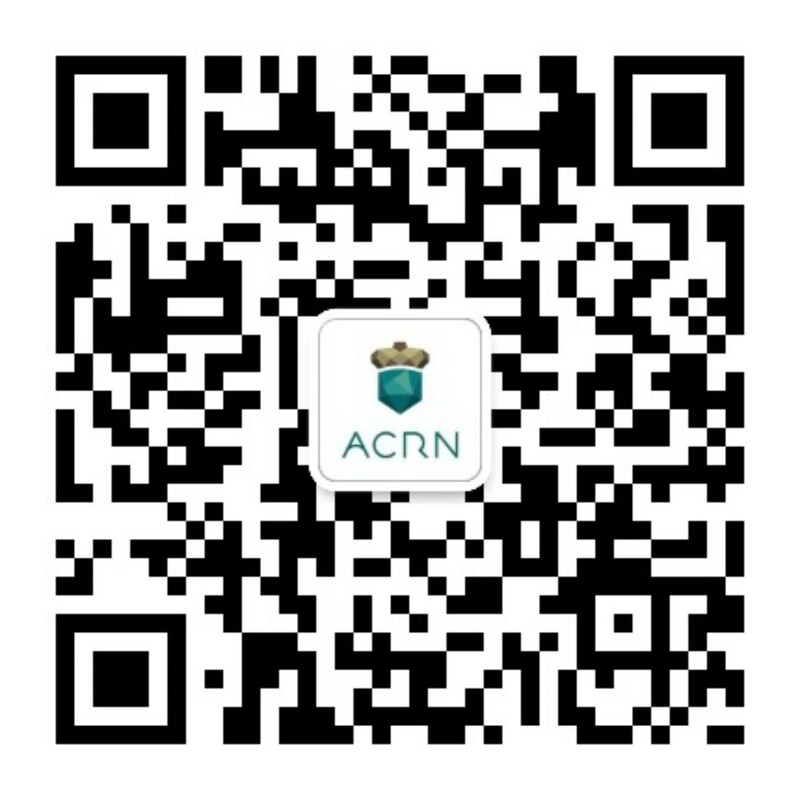 ACRN is an open source reference hypervisor, built to meets the unique needs of embedded IoT development. Today's connected devices are increasingly expected to support a range of hardware resources, operating systems, and software tools/applications. Virtualization is key to meeting these broad needs, however, existing solutions don't offer the right size and flexibility for IoT. ACRN aims to be the answer. 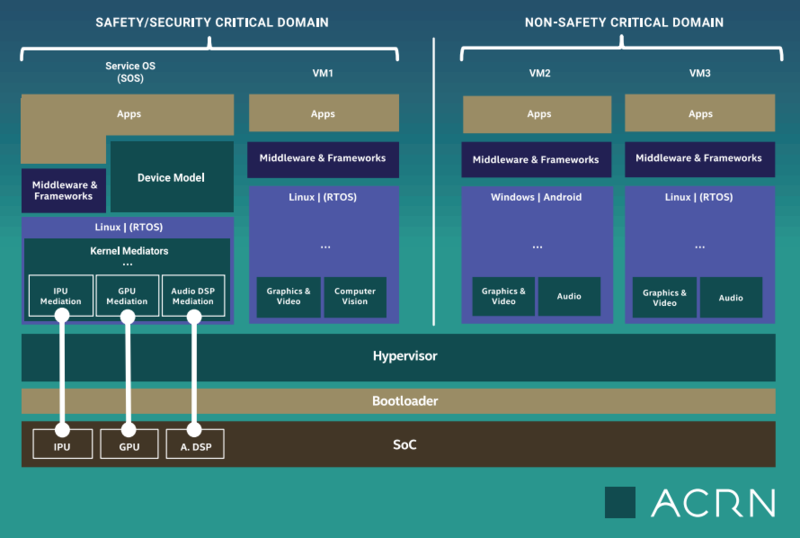 ACRN is comprised of two main components: the hypervisor, and its device model complete with rich I/O mediators. ACRN will have a Linux-based Service OS and will run guest operating systems (another Linux instance, an RTOS, Android™, or other operating systems) simultaneously, providing a powerful software platform to build complex computing systems. ACRN invites the embedded developer community to contribute code and plans to collaborate with the community to further the effort in providing a high quality open source embedded reference hypervisor. Join us! Few Lines of Code (LOC) of hypervisor: Approx. 25K vs. 156K LOC for datacenter-centric hypervisors. Virtualization beyond CPU, I/O, Networking, etc. Virtualization of Embedded IoT dev functions, ie: Graphics, Imaging, Audio, etc. Start working with ACRN today! ACRN™ is a Linux Foundation project and as such the Linux Foundation Code of Conduct will apply to this project. It is an open-source and open community project where participants choose to work together, and in that process experience differences in language, location, nationality, and experience. In such a diverse environment, misunderstandings and disagreements happen, which in most cases can be resolved informally A Code of Conduct is useful to define accepted and acceptable behaviors and to promote high standards of professional practice. The Code of Conduct applies to any member of the ACRN’s community – developers, participants in meetings, teleconferences, mailing lists, conferences or functions, etc. Note that this code complements rather than replaces legal rights and obligations pertaining to any particular situation. ACRN’s governance ethos is centered around openness and community inclusion. The project is committed to a true open source governance where code contributions are the main objective. We are committed to working transparently in the open to encourage the open source community’s involvement and welcome and encourage all forms of participation in the project. Technical decisions are made by technical contributors and a representative Technical Steering Committee assigned via meritocracy and through voting members.